More action from the South Pacific, this time featuring Eric Gamez, brought to us by Mitch Payne. A mini clip consisting of the footage that Lindsay gathered in his time on a South Pacific island. By Spencer Frost. Luke Gornall took his manager/brother over to Cook Islands to get some waves and check out Eric Gamez Boog House out. A quick edit of some footage that didn’t appear in the Cooks clip. Shot with mainly a GoPro2 and a 7D. Some footage of a recent trip Blake Parker and friends took to the Cook Islands. Shot on a 7D, GoPro2 and GoPro 3: Black. 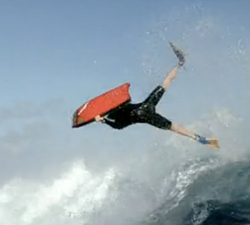 A Movement TV Production of Nick Gornall Bodyboarding in the Cook Islands from (2009). A bit of footage from a couple of bodyboarding sessions in the week Elliot Griffiths spent in the Cook Islands.